Design a Room or an Entire Home for Free! A free online room design application is a great way to quickly design a room or plan a room remodel. 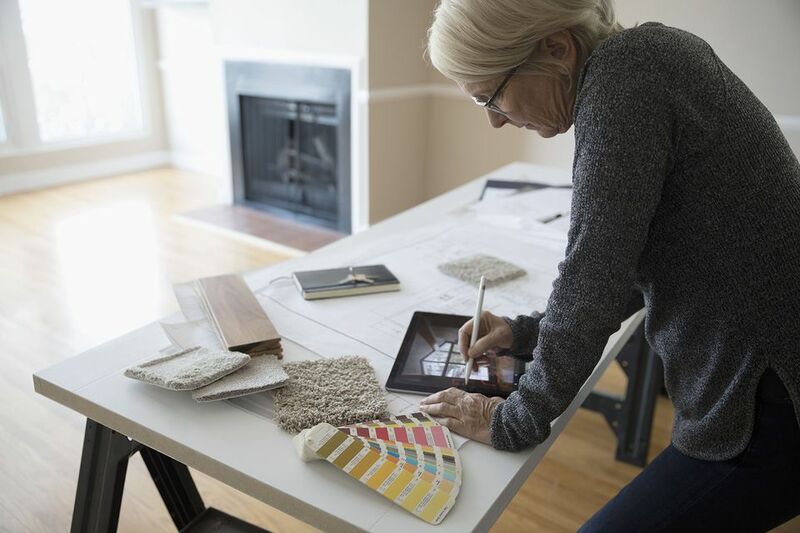 You can even plan a design for every room in your home, all right from your computer without having to know anything about home design software. With each of the free online room design applications, you start by creating your room's dimensions. Make the area as large or as small as you like, add interesting corners or walls and do everything you can to make it look just like the real room you want to build. Then, add features such as doors, closets, and windows before moving on to adding paint, flooring, furniture, and accessories by just dragging and dropping them into your online room. Each of these applications below let you design a room, but they all have different tools that work a little bit differently. I've placed them in order of my favorites at the top, but you may find that you like the online room designs programs near the bottom of the list. Tip: Are you looking for decorating inspiration? Request some free home decor catalogs and free furniture catalogs to get inspiration for your next room design. 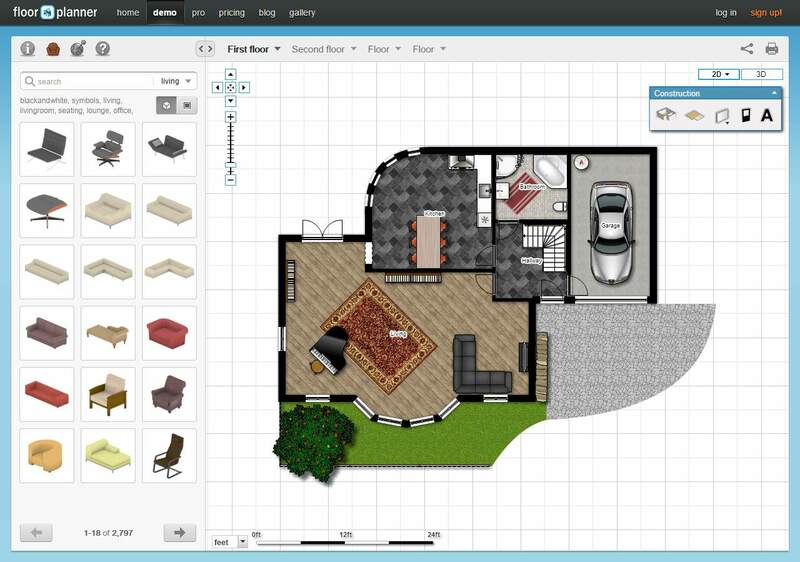 It's easy and fun to use Floorplanner, and it has so many options for flooring, wall coverings, furniture, and objects that you'll be able to design houses and rooms either for realistic use or to create your dream home. If you have trouble using Floorplanner, use the tutorials to get you through a rut or to show you how to use the tools to build what you want. 3Dream is one of the best free online room design applications available. You'll have fun building a room here with their huge collection of furniture, flooring, wall coverings, and accessories. There are over 40,000 objects you can use! Not only can the room be viewed in regular 2D, but you can also use the 3-dimensional option to get a "real life" example of how the room might look if you were to stand inside. The tutorials at 3Dream will get you started, and in no time you'll have a stunning room finished that you can view in interactive 3D. Arrange-a-Room, by Better Homes and Gardens, is a simple but effective free online room design application. You'll be able to quickly recreate a room in your house and plan your new design with their simple to use tools and clear instructions. Just choose a room shape, add furniture, and adjust any colors to complete your project. Roomstyler 3D Room Planner (previously called Mydeco) is a great free online room design application mainly because it's just so easy to use. You'll have a room up in a matter of minutes! Unlike some 3D room planners, this one gives you a huge drawing-like canvas to work with. You can easily draw in your walls or drag a pre-made shape onto the canvas. There are numerous furniture and accessories you can add to your room to make it your unique creation. You have access to objects not only for regular rooms like a bedroom, kitchen, and dining room, but other things, too, such as a gym, kid's room, Christmas, garden, office, home entertainment, and more. This free online room design application will have you coming back again and again so you can redo every room in your house. Or maybe even some that are just from your fantasies! Plan Your Room is a free online room design application that will help you design a simple room with ease. You'll love how simple the tools are and how easy it is to get the results you're looking for with your project. What Plan Your Room is missing in bells and whistles it makes up for in the fact that it can get the job done in a small amount of time. The walls are easily draggable, and the furniture and other objects are neatly organized off to the left. Also, the easy-to-use interface makes it a breeze to work with, all the objects you see available are the ones you can use (none of them are secretly only available after you pay), and user registration is only necessary if you want to save the design. How Do You Use 3Dream to Design the Perfect Room?